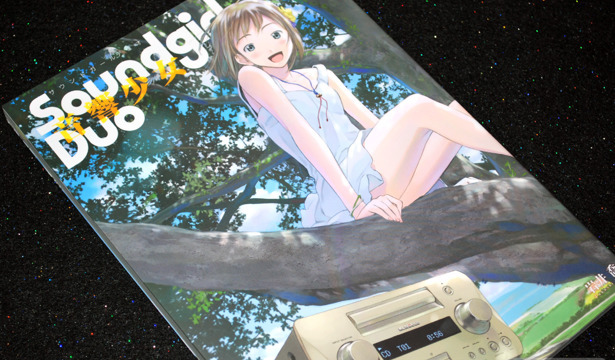 Soundgirl DUO is the commercial realization of the previously reviewed doujinshi Soundgirl - Onkyou Shoujo-. There is no illustration overlap between the two books, but several of the artists featured in the original book contribute at least one illustration each to Soundgirl DUO. This second book came out November 30th and retails for ￥1800. Soundgirl - Onkyou Shoujo- is a collection along the same vein as Digital Camera Girl, featuring product information alongside an illustration of a girl using the product. 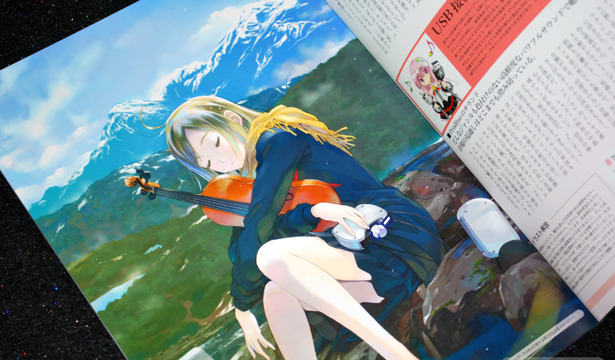 In all honesty, this book that didn't come out during a convention would have escaped my attention if it hadn't been for the beautiful preview illustrations featuring Yoshizuki Kumichi's art works.